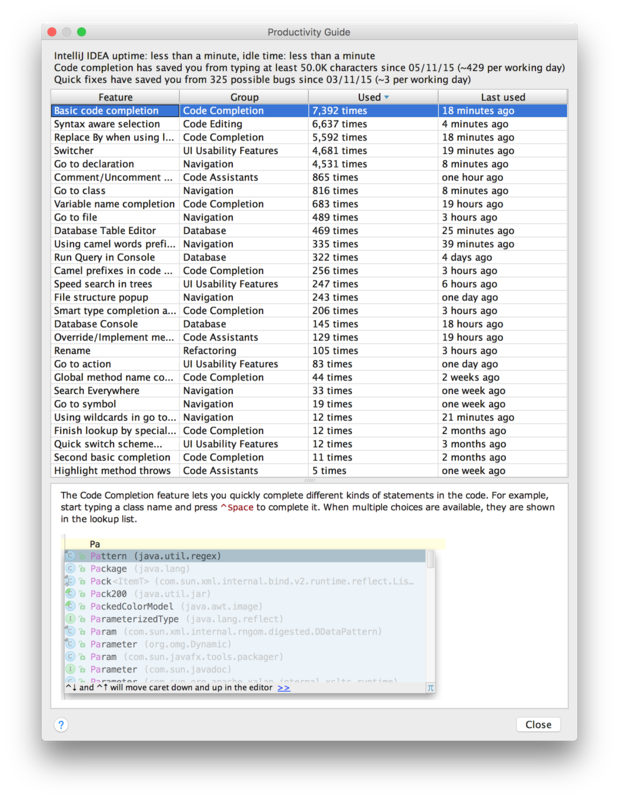 IntelliJ IDEA: How Productive Was Your Day? 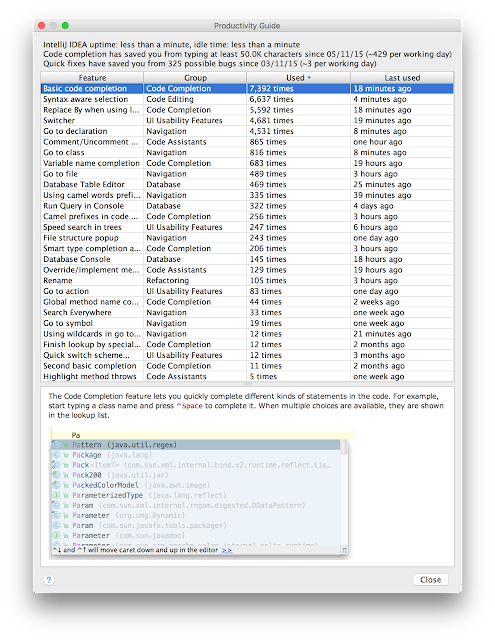 If we want to see how productive we are with IntelliJ IDEA we must open Help | Productivity Guide. IntelliJ IDEA opens a dialog window with a very detailed overview of smart stuff we have been using. And how much typing we have saved.